I was bullied by my care providers. And suffered from birth trauma. And if mainstream media is to be believed it was my fault. My expectations were too high. I chose the wrong care provider. I chose the wrong birth location. I didn’t educate myself enough. I wasn’t strong enough. I didn’t realise that sometimes things just go wrong and I just need to be grateful for my healthy baby. And you know, for a while there I totally agreed. I’ve often said things like “I let them bully me into doing things I didn’t feel were necessary”. I am not responsible for the poor treatment I received during my pregnancies and births. It is not my fault that I was bullied and coerced. I deserved to be treated better. My babies both deserved to be treated better. My “care providers” didn’t bully me because I’m a bad mum and I’m not a bad mum because I was bullied. I was bullied because my care providers were bullies. And because I was bullied, coerced and manipulated I suffered from birth trauma. What a person thinks of me, says to me and does to me says NOTHING about me! If you bully me, that doesn’t make me a victim; the bullied; weak; walked over; or “bad” in any way. It makes you a bully. And that’s it. It really is that simple. So here's the big secret - being bullied says nothing about YOU and a lot about the people doing the bullying. It took me a long time to feel comfortable saying: How I was treated was not okay. Because a part of me believed that I deserved it. I should have home birthed if I wanted to receive evidence based, woman centred, compassionate care. And a part of me needed to hold onto the myth that it was my fault. Because if I was to blame for the birth trauma that I had suffered, then I had the power to prevent it next time. But I am not responsible for the behaviour of others. My expectations (that I be treated respectfully and be respected as an informed mother capable of making decisions in the best interests of my family) were not unreasonable – in fact they are legal rights. I was educated and I was strong. I just lucked out and ended up being treated poorly by people who were supposed to care for me. And is there really anybody lower than those who would bully a pregnant and / or birthing woman? If I could go back I would make some different choices. And for my future births I will make some different choices. Because I know that there ARE some things I can do to help avoid being manipulated and bullied next time. That doesn’t mean it was my fault I was bullied. It just means I know who to avoid next time. I know what I need to do to feel safe. So – Birth Trauma: Who’s to blame? Well I can assure that it is not me. And to all the women out there who have suffered from birth trauma I can assure you – It’s not you either. 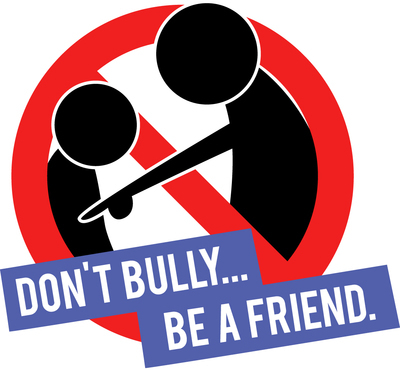 The bullying epidemic isn’t the fault of those being bullied – it’s the fault of the bullies. I think using the word "honoured" is a bit over the top. Pregnant women seem so commonplace these days. They are everywhere. I think they should just be respected. I can't find the word honoured (although it is late! )...however I do use that word a lot about pregnant and birthing mothers. In my capacity as a birth worker I believe that birth deserves to be honoured as does the right of passage of becoming a mother. Yes mothers are very "commonplace", but they are still, in my opinion, the most valuable members of society and deserve to be honoured as such. Just my opinion - Respect definitely works (and I use it a lot!) but doesn't seem to hold the same idea of the sacredness of the rites of passage.